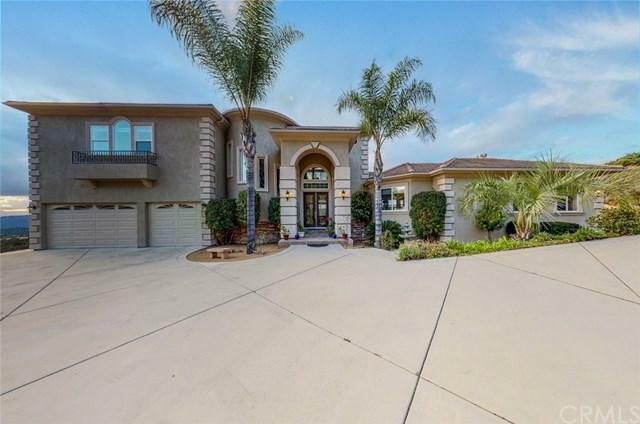 Welcome home to this gorgeous tri-level custom beauty located in the hills above Temecula called De Luz!! Enjoy breathtaking sunsets and AMAZING VIEWS from every room in the house! 4579 SF w/ 5 bedrooms, 3.5 baths and private gated driveway. Enter the Dramatic Foyer with a beautiful wood and wrought iron staircase. The Formal Living Room and Dining Room share a double sided fireplace and custom wet bar. 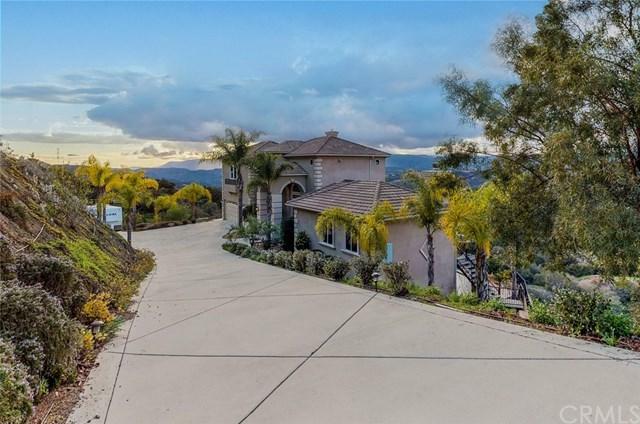 Gourmet kitchen opens to Family room w/ granite counter tops, double islands, rich stained maple cabine Welcome home to this gorgeous tri-level custom beauty located in the hills above Temecula called De Luz!! Enjoy breathtaking sunsets and AMAZING VIEWS from every room in the house! 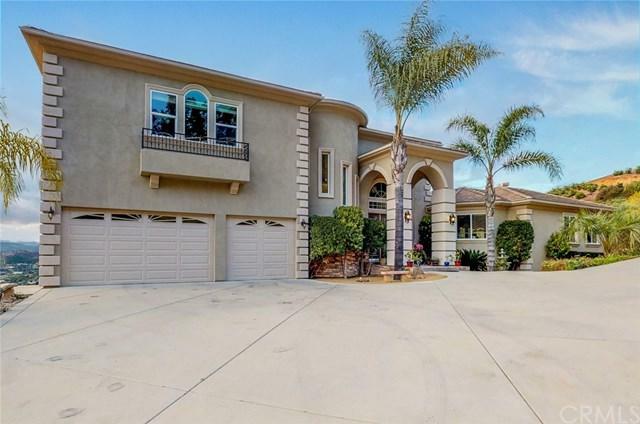 4579 SF w/ 5 bedrooms, 3.5 baths and private gated driveway. Enter the Dramatic Foyer with a beautiful wood and wrought iron staircase. The Formal Living Room and Dining Room share a double sided fireplace and custom wet bar. Gourmet kitchen opens to Family room w/ granite counter tops, double islands, rich stained maple cabinets, large pantry and top of the line stainless steel appliances! The spacious family room offers a raised hearth fireplace and balcony with stairs leading to pool! Upstairs you will find a Loft and 2 bedrooms with a Jack and Jill Bath perfect for the kiddos! Master suite is located downstairs with a cozy fireplace and easy access to the pool. The luxurious master bathroom is complete with large custom shower and separate jetted tub w/ floor to ceiling custom tiled wall! 2 more bedrooms, 1 bath and large laundry room with lots of storage complete the downstairs! Out back you will find a Beautiful Pebble Tech Pool & Spa w/ custom paver decking and lots of private outdoor living space perfect for entertaining! Lots of low maintenance and drought tolerant landscaping! Extra room for a guest house or vineyard! 3 car garage with epoxy flooring, soft water system + RV pad outside. Only minutes to the freeway, shopping and restaurants. 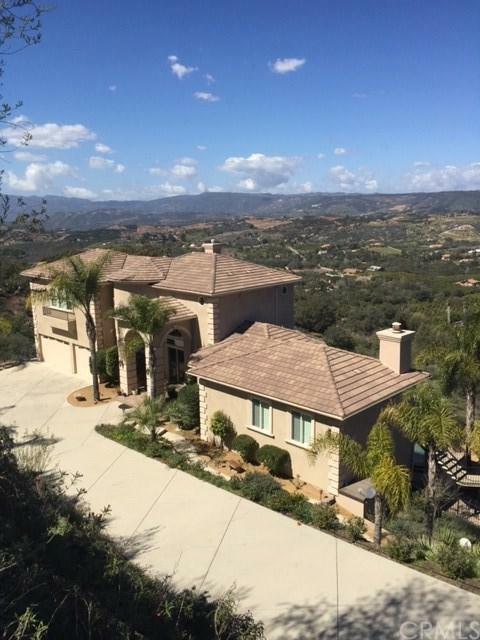 The Best Temecula has to offer....A must see!